David Nelson’s next book is the Salzburg Music Guide. This is a companion to the Vienna Music Guide. Both are published by Doblinger, and will be the same size and format. The Salzburg Music Guide will have chapters on visiting the Mozart sites, the Sound of Music, the Salzburg Festival, Silent Night, music in the Salzkammergut, and much more. The Salzburg Music Guide will be published in Spring 2015. 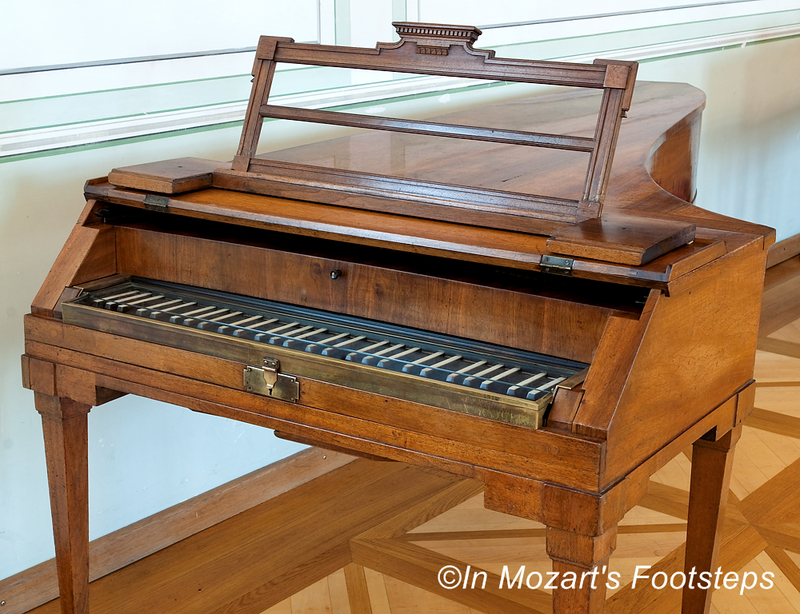 Mozart’s pianoforte in the Mozart Wohnhaus Museum in Salzburg.